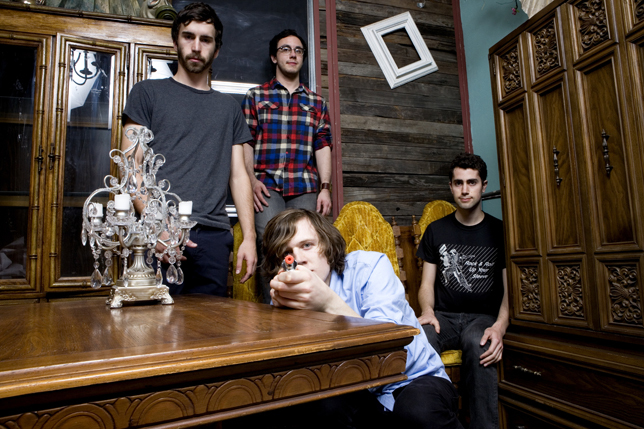 Music Psychos: Tokyo Police Club unveiled their 2002's cover, "Sweetness"
Tokyo Police Club unveiled their 2002's cover, "Sweetness"
Tokyo Police Club recorded their cover of 2002's " Sweetness' by Jimmy Eat World yesterday at Red Bull Studios Los Angeles. You can check it out from the below link. Tomorrow, the band will be recording "Under Control" by The strokes, which will be available at 1p.m EST via AltPress.com. I am so stoked about the Strokes' cover!!! Stay tuned!! !